by Daniel S. Christian, M.S.Ed. A pair of researchers at Harvard University think they’ve got part of the answer. In a study run by Daniel Schacter, the William R. Kenan Jr. Professor of Psychology, and Karl Szpunar, a postdoctoral fellow in psychology, they found that interspersing short quizzes into online learning course can dramatically increase student retention of material. 1) Massively Open Online Courses (MOOCs) are recent experiments — ones that will continue to change/morph into something else. Other specialists in mobile learning, 3D, web development, database administration, animation, graphic design, musicians, etc. It won’t be long before this type of powerful team gets pulled together — from some organizations(s) with deep pockets — and the content is interacted with and presented to us within our living rooms via connected/Smart TVs and via second screen devices/applications. MOOCs are not nearly the same thing as what has come to be known as “online learning” — at least in the higher ed industry. MOOCs do not yet offer what more “traditional” (can I say that?) online learning provides: Far more support and pedagogical/instructional design, instructor presence and dialog, student academic support services, advising, more student-to-student and student-to-faculty interaction, etc. MOOCs are like drinking from a firehose — there are too many blogs/RSS feeds, twitter feeds, websites, and other resources to review. 4) It would be wise for all of us to be involved with such experiments and have at least a subset of one’s college or university become much more nimble/responsive. Use visuals and colors–but not too fancy. Khan favors hand-drawn diagrams. Prepare carefully, then speak from your heart. Khan will sometimes write a script and throw it away. He’ll spend an hour walk figuring out how best to visualize a concept, then represent it in a quick sketch. Keep it short. 10 minutes tops. Chunk down a larger concept into smaller pieces, to keep your audience hooked. 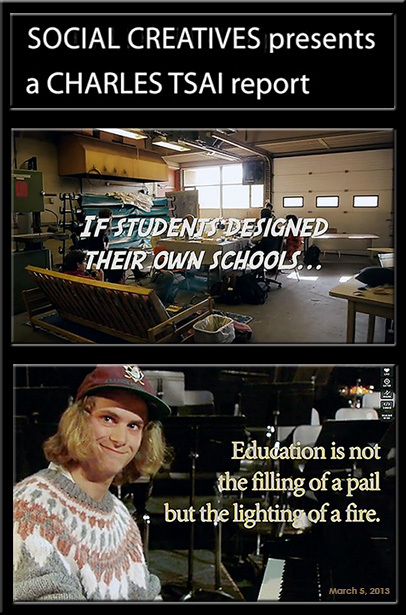 THIS is what it could look like if students designed and *owned* their own learning! A very powerful piece. THIS is what it could look like if students OWNED their own learning and could pursue their own passions! — A powerful piece! Well worth your time if you are involved with — or concerned about — education in any way, shape, or form. Students pursue their own passions — be that an interest in music, art, science, aviation, or in another discipline. Did they hand select these particular students for this program? If so, what were the predominant characteristics of those students? With that said, this is a very powerful piece — well worth your time to check out. 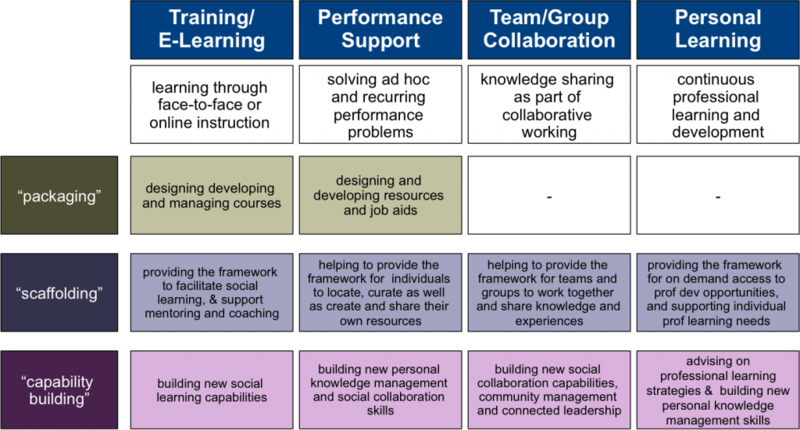 In my recent posts, The changing role of L&D: from “packaging” to “scaffolding” plus “social capability building” and Towards the Connected L&D Department I wrote about the need to move from a focus on “packaging” training to “scaffolding” learning, and I said I would talk more about what “scaffolding” looks like. For me, this is the key way for workplace learning professionals to move the learning industry into the future. In this post I’m going to look at “instructional scaffolding” but in subsequent posts, I will consider “scaffolding performance support & team collaboration” in the workplace as well as “scaffolding professional learning“. What are we doing?! We will all pay for these broken strategies — for generations to come! Time for some new goals! Reporter Peg Tyre explains why the challenges boys face in school need to be taken much more seriously. Right now, boys are falling out of the kindergarten through 12th grade educational pipeline in ways that we can hardly imagine. What are we doing?!!! We’ve watched the dropout rates grow — it doesn’t seem we’ve changed our strategies nearly enough! But the point that gets lost in this is that we will all pay for these broken strategies — and for generations to come! It’s time to seriously move towards identifying and implementing some new goals. Help students identify their God-given gifts and then help them build up their own learning ecosystems to support the development of those gifts. Hook them up with resources that will develop students’ abilities and passions. Do everything we can to make learning enjoyable and foster a love of learning — as we need lifelong learners these days. Build up students’ appreciation of faith, hope, love, empathy, and a desire to make the world a better place. Provide ways that they can contribute. Let students experiment more — encourage failure. I am a huge proponent of backchannel learning. There are many conferences I would love to be able to attend, but my budget can only accommodate one or two each year. The backchannel is an excellent resource for learning from a conference or event that you are unable to attend in-person. Note: I’m also enrolled in Coursera’s E-learning and Digital Cultures, with University of Edinburgh, which is so far excellent. What I wrote in this post is exclusive to the course Fundamentals of Online Education: Planning and Application. I also completed Introduction to Sociology, through Coursera last year which was quite good. There will be many more disasters I’m sure. But as with learning, failure is to be expected (some would say mandatory) and learning is messy. 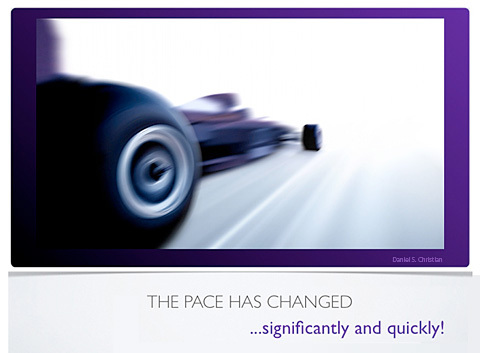 This is especially true when technological change and innovation are moving at ever-increasing speeds. We still need to experiment — but how do we experiment with MOOCs on a smaller scale? How can we keep things manageable? Richard Mayer and Ruth Clark are among the foremost researchers in the empirical testing of media and media mix hypotheses in online learning. Their e-Learning and the Science of Instruction (2003) covers seven design principles; multimedia, contiguity, modality, redundancy, coherence, personalisation, and practice opportunities. Clear explanations are given about the risks of ignoring these principles – with support from worked examples and case study challenges. It should be a compulsory text for online learning designers.